In the breeding season, Leydig cells increase in size and built up inclusions of lipids and cholesterol in their cytoplasm for testosterone production. This causes a pale appearance of the cytoplasm. 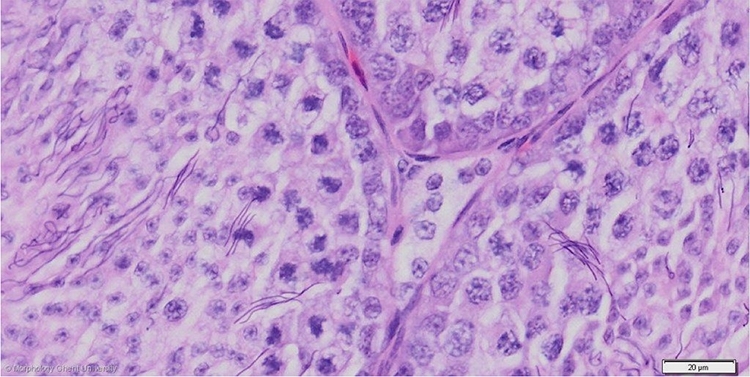 The nucleus attains its maximum diameter and nucleoli are clearly visible.